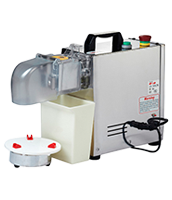 Self-centering design automatically and immediately centers the ice blocks in the shaver to effectively prevents machinewobbling during operations. 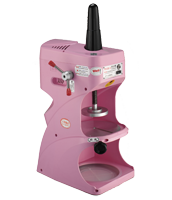 With the foot switch,you can now dedicate your both hands on catching the shaved ice. 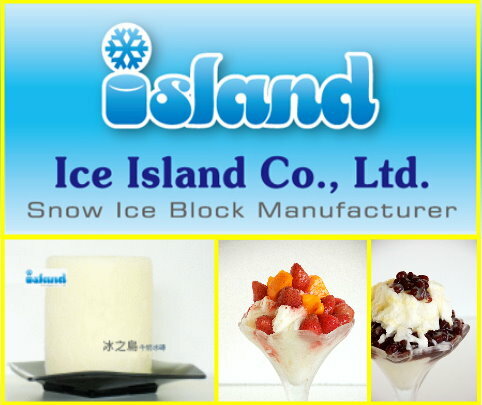 An advanced design of nail-less ice block holder fully eliminates possible hand scratches. 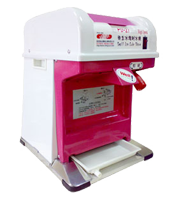 Bare hand disassembling and assembling feature during cleaning allows you to wash food-contact parts easily and thoroughly. 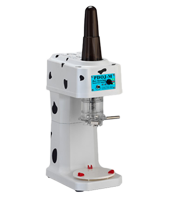 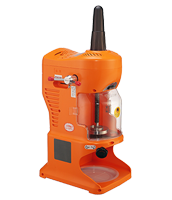 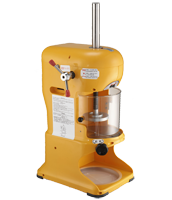 The new compact overall machine size markedly saves your precious working space.